Yanis Varoufakis (born 24 March 1961) is a Greek economist, academic and politician, who served as the Greek Minister of Finance from January to July 2015, when he resigned. Varoufakis was also a Syriza member of the Hellenic Parliament (MP) for Athens B from January to September 2015. What happened in Greece during the crisis? And what happens when you take on the establishment? 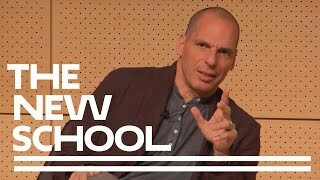 In this extensive interview, former finance minister of Greece Yanis Varoufakis, talks about his new book Adults In The Room – My battle with Europe's deep establishment.